devoted followers of Jesus Christ. 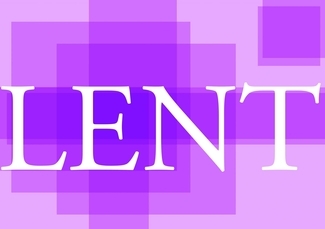 The church season of Lent begins on Ash Wednesday, March 6th and culminates on Easter Sunday, April 21st. Lent is a time for us to remember the passion and death of Christ and to reflect on our lives and our need for the Savior. This year at Cross of Glory our theme will be “CROSS/PEACE.” The message of Lent and Easter is that we have peace through the cross of Christ. Each family will be receiving a 12" wooden display cross at Ash Wednesday services, and each week at worship families will receive another item to signify another portion of the Passion Story. At the end of the Lenten season, you will have a completed CROSS/PEACE display. We look forward to this Lenten journey together. Please pray for every member of Cross of Glory, that during this special holy season all of us will move closer to Christ Jesus and find renewal and refreshment in our spiritual lives. Check out the March "Glory Banner" newsletter for more details. as well as a broad range of contemporary and traditional musical styles. Would you like to contribute to the ministries of Cross of Glory? Events and activities scheduled at Cross of Glory for the next few days are shown below. You may click on each link for additional information about the event, to send an email reminder to yourself, and/or to send an email invite asking someone to join you! For our complete calendar, click here. Are you looking for a place to belong? Come be a part of our family! Visit a worship service, meet some of our members, talk to a pastor, or just find a new friend. We'd love to meet you! Whatever your ethnic or cultural background; whether you're young, old or middle aged; if you're single, in a committed relationship, or married; are a Christ follower or someone seeking answers...it doesn't matter! You'll find a place to grow in your faith journey along with other loving and caring Christian friends who are doing the same.